Heidi's Inn Ilwaco – Clean. Comfortable. Affordable. Our Single Rooms are furnished with a Queen Bed, TV, Microwave, Refrigerator and seating. Private Baths include basic amenities. Our Double Rooms are furnished with (2) Double Beds, TV, Microwave, and Refrigerator. Private Bathrooms include Shower and Basic amenities. 1st or 2nd Floor. Our Family Rooms, located on the 2nd Floor, include a Single Queen Bed and 2 Double Beds. A private Bath with Shower and Amenities is included. Rooms are furnished with a TV, Microwave, Refrigerator, Table, and Chairs for seating. Ground Floor. One of a kind. 3 Double Beds and 2 Twin Beds. Sectional Sofa and TV. Full Kitchen. Double Shower, Double Bathroom, dining table for 6. Journey to the southern end of the Longbeach Peninsula and on scenic Baker Bay, you’ll discover Ilwaco. This historic community was founded in 1848 and was once a thriving trading post for the Chinook Indians. Today, that thriving trade has taken on a whole new meaning with restaurants, seafood markets, and fine dining. Nestling just within the Columbia River bar, Ilwaco is a sheltered fishing community with some of the finest sturgeon and salmon fishing in the country. It’s a community which is changing rapidly. One of its newest attractions is the quaint Harbor Village. Its waterfront location and brand new marina are ideal for both pleasure cruisers and for commercial fishing. Its abundant shops and art galleries are perfect for its countless visitors. 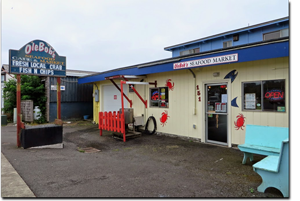 Ilwaco shopping is an easy and convenient experience as large parts of the community are pedestrianized with the added advantage of free parking. The wide choice of outlets ranges from quaint antique and fine art galleries to specialty stores. Also on Howerton Way is ‘OleBob’s Fish Market’. Family owned, their specialty is fresh and locally caught tuna, salmon, oysters, clams, and crab. Visit http://www.olebobs.com for more information! The guy the front desk seemed less than enthusiastic to help once he got paid. There was at least one or two ladies of the night smoking all hours in the parking lot. A siren next door sounded like a tsunami warning and the beds were really uncomfortable. For a last minute cheap stay it worked but it definitely encouraged me to spend more money elsewhere next time. This was by far the worst motel we have ever stayed at. The bed was so uncomfortable that my boyfriend and I even said to each other sleeping in the car would've been better. The floors were stained and disgusting to the point we were too scared to take off our shoes. The bathroom shower curtain and shower had mold growing everywhere. Bruce at the front desk was beyond rude and completely unhelpful. I will NEVER waste $116 on a motel like this again. Friendly staff, clean rooms, pet friendly and affordable economy rooms! Great location and amenities! We keep coming back - easy to book direct by phone!! Location is good, just south of the main strip of shops. It's easy to find via Google Maps, and has a big sign out front. The room was good for the price, with a minifridge and coffee (instant) provided in the room. The only non-family room left was a smoking room, but the smell was subtle and unobtrusive. The linens and bed were clean and comfortable. The service was minimal, but sufficient. The gentleman at the front desk (who I believe is the owner) was a bit gruff until the room was paid for, at which point he was very helpful, giving us recommendations and pamphlets of places to see during our stay. In fairness, we arrived in the late evening, so this may not be indicative of average service. They are pet-friendly, with an $8 charge per night to stay with your pet. Check-in starts at 3pm, and the check-out time is 11am. When we were there, housekeeping did their first pass at about 9am. Overall, I would recommend Heidi's to anyone doing a short trip to Long Island on a budget. Copyright © 2017 Heidi's Inn - All Rights Reserved.